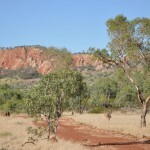 Police fear for missing WA prospector (0) January 18, 2013 A prospector has gone missing in the WA Goldfields and emergency services have been searching for the 46-year-old man since Tuesday. 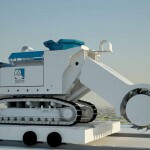 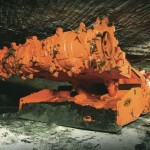 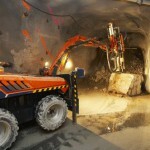 Anglo American to build mining robots (0) January 18, 2013 Global miner Anglo American has signed a five year contract with an American university to develop robotic technology for its platinum mines. 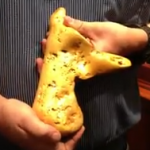 Prospector discovers $300,000 nugget (0) January 18, 2013 A 5.5kg gold nugget estimated to be worth up to $300,000 has been found by a prospector in bush near Ballarat. 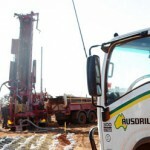 New iron ore mine for Victoria (0) January 18, 2013 Junior miner Eastern Iron has announced plans to continue preparation work for a prospective iron ore mine located near the NSW/VIC border. 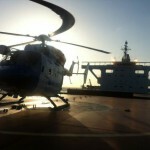 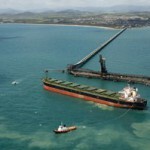 Man airlifted from Rio bulk carrier (0) January 18, 2013 A man was airlifted from a Rio Tinto bulk carrier off Gladstone after suffering severe chest pains. 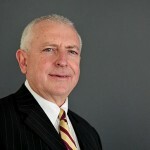 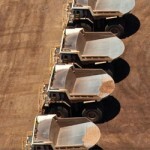 Iluka to cut mining jobs (0) January 18, 2013 Iluka is cutting jobs at its Eneabba mine after it suffered a slide in revenues. 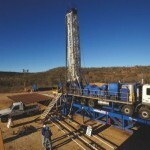 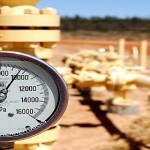 Fracking a possibility in Sydney basin (0) January 17, 2013 Fracking is more likely to occur in the Sydney basin while drilling for coal seam gas takes place than in other Australian gas fields, a senior NSW scientist has reported. 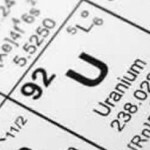 QLD to boost uranium, launch trade mission (0) January 17, 2013 Queensland Premier Campbell Newman has flagged developing the uranium industry and strengthening trade ties with Japan as key to future growth in the state’s mining sector. 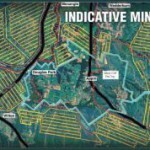 Yancoal’s proposed mine expansions rejected by Gloucester Council (0) January 17, 2013 Gloucester Council has decided to give only partial support to expansion plans coal miner Yancoal has submitted. 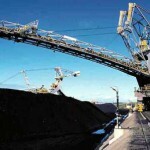 Miner’s arm crushed in Broadmeadow accident (0) January 17, 2013 A mine worker has had his arm crushed at BMA’s Broadmeadow underground coal mine near Moranbah in central Queensland. 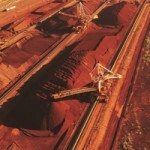 Large drop for iron ore prices (0) January 17, 2013 Iron ore prices posted their biggest daily drop in 14 months yesterday, proving that while demand remains high the market is growing ever more volatile. 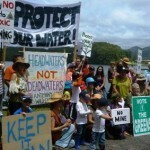 New Hope to shut Oakleigh coal mine (13) January 17, 2013 New Hope Coal will finally shut down its Oakleigh coal mine in Queensland’s Moreton Basin next week. 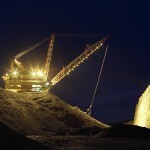 Power failure at Ernest Henry mine (0) January 17, 2013 Xstrata has suffered a major power failure at its Ernest Henry mine, causing disruption to its underground operations. 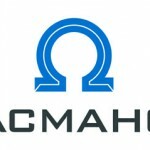 Macmahon close the door on Sembawang (0) January 17, 2013 Contrary to recent public statements, Sembawang has made yet another bid for construction company Macmahon Holdings. 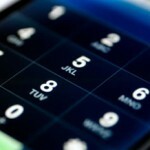 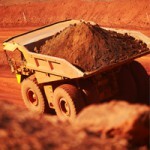 Social media activity risks mine safety (0) January 16, 2013 Mine workers who engage in social media while handling heavy machinery are putting lives at risk, the Queensland Government’s Mine Inspectorate said on Tuesday. 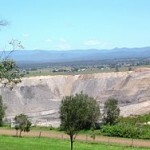 Hunter Valley dam plans gain support (0) January 16, 2013 The New South Wales Department of Planning and Infrastructure has recommended Wambo mine’s proposal to build a new water storage facility be approved. 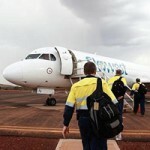 FMG dumps shale gas plans (0) January 16, 2013 Pilbara miner Fortescue Metals Group has dumped plans to diversify into WA’s shale gas sector with a small investment in oil and gas explorer Oil Basins. 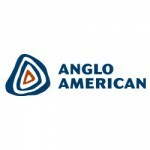 Anglo American to restructure its platinum division (0) January 16, 2013 Following the appointment of a new CEO, Anglo American has also announced a massive shake up of its platinum business. 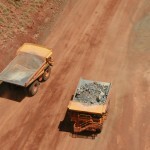 Union members targeted for job cuts: CFMEU (0) January 16, 2013 The Construction, Forestry, Mining, and Energy Union has accused mining contractor Thiess of singling out union employees for layoffs at the Collinsville mine in QLD. 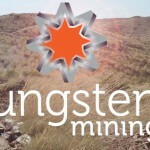 ERA beings approvals process for Ranger 3 Deeps uranium mine (0) January 16, 2013 Energy Resources of Australia has formally begun its statutory approvals process for the proposed Ranger 3 Deeps underground uranium mine. 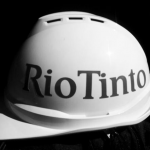 Santos sub-contractor dies of suspected heatstroke (0) January 16, 2013 A Santos subcontractor has died from a suspected heatstroke while onsite outside of Roma on Sunday. 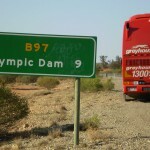 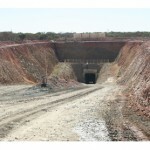 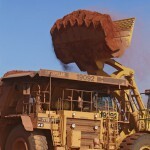 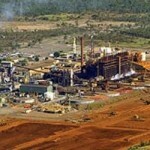 Rio posts records tonnes, eyes massive growth (0) January 16, 2013 Rio Tinto has posted record production from its Pilbara iron ore mines, and says its massive expansions in the region are still on track. 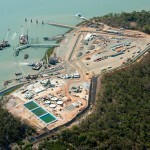 Viento sign MOU for contracting services (1) January 16, 2013 Viento Group has signed an MOU with Koodaideri Contracting Services to establish a new joint venture. 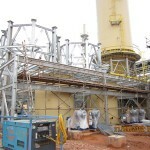 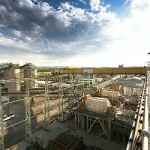 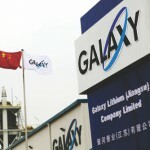 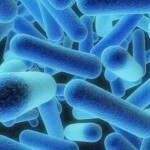 Second worker dies after lithium accident (0) January 16, 2013 A second worker has died following a deadly incident at Galaxy Resources carbonate plant last year. 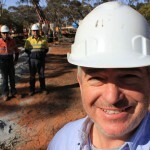 Woodside to work on sacred sites (0) January 16, 2013 Environmentalists are outraged over a WA Government decision to allow Woodside the right to work on an Aboriginal site of ‘major’ heritage significance. 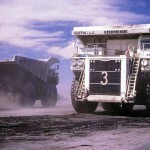 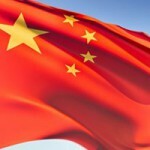 Chinese miner may snap up Tinkler’s stake in Whitehaven (0) January 15, 2013 Speculation that Chinese miner Shenhua Group could purchase Nathan Tinkler’s stake in Whitehaven Coal was renewed on Monday and investors reacted cautiously. 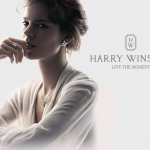 Harry Winston to revert to its diamond roots (0) January 15, 2013 Luxury diamond retailer Harry Winston Diamond Corporation has announced it will be reverting to its roots as a mining company. 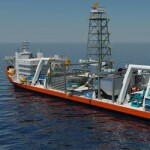 Questionable bid for seabed miner (0) January 15, 2013 Prospective seabed miner Nautilus Minerals says it has still received no offer from rebel investor Michael Bailey on a takeover bid, and can’t confirm whether the trader’s offer is legitimate. 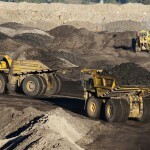 National campaign to stop coal export expansions (0) January 15, 2013 Environmental campaigners from across the country have joined a national campaign calling for the expansion of coal exports to cease. 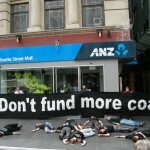 Anti-coal activists unite to support Whitehaven hoaxer (0) January 15, 2013 Anti-coal lobbyists yesterday voiced their support for fellow activist Jonathan Moylan, protesting outside a Melbourne ANZ branch. 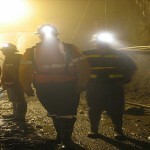 The women miners of Instagram [images] (0) January 15, 2013 These images capture some of the beauty, fun, and community spirit women bring to the mining industry. 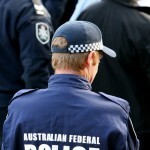 Federal police probe into Oz Minerals (0) January 15, 2013 The Australian Federal Police have reopened corruption investigations involving Oz Minerals and bionic ear manufacturer Cochlear. 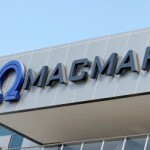 Macmahon rejects Sembawang – again (0) January 15, 2013 The bizarre war of the press release continues today between Macmahon Holdings and Indian based Sembawang. 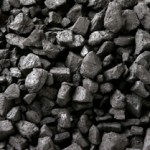 Disgruntled Chinese coal miner blows up bus (0) January 15, 2013 An explosion that killed 11 people in China last week was caused by a disgruntled coal mine. 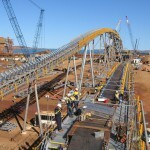 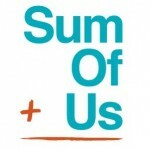 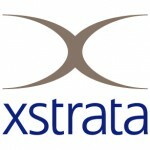 Xstrata dumps QLD copper project (0) January 14, 2013 Xstrata has pulled out of a deal to buy a majority stake in a Queensland copper project currently held by Perth-based junior Altona Mining. 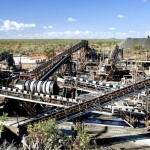 Esco shuts Northgate foundry, nearly 70 jobs lost (0) January 14, 2013 US-based mining services company Esco Corporation shut its Northgate, Queensland foundry first thing this morning. 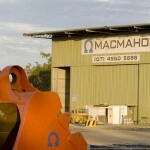 Sembawang withdraws offer for Macmahon (0) January 14, 2013 Sembawang yesterday withdrew its offer to purchase Macmahon Holding’s construction business, but not before lashing out at Macmahon’s actions. 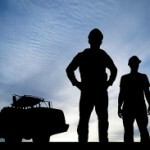 Top 20 mining jobs in demand (11) January 14, 2013 Despite a slowdown in some sectors of the mining industry, there are still plenty of high paying jobs on offer for people with the right skills. 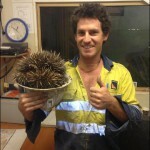 Miner runs into spiky customer onsite (0) January 14, 2013 An echidna has been saved from becoming road kill by a Northern Territory miner. 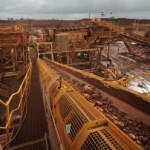 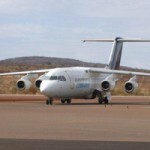 Miners escape mining tax a second time (145) January 14, 2013 Despite a recent surge in the iron ore price, resources giants say they will escape paying the mining tax for the second quarter in a row. 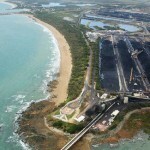 Hay Point construction workers launch industrial action (0) January 14, 2013 Up to 300 Hay Point Coal Terminal construction workers have become embroiled in industrial action over a pay dispute. 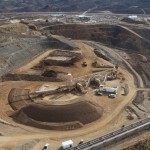 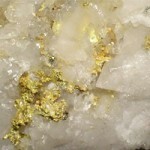 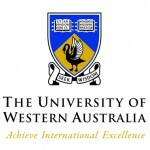 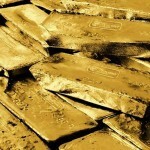 Gold’s future in jeopardy (0) January 14, 2013 Concerns have been raised over the future of Western Australia’s gold sector as high exploration costs hamstring miners. 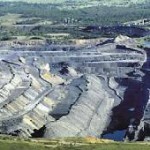 Hunter Valley infrastructure woes threaten coal industry (0) January 14, 2013 An inadequate sewer system in the Upper Hunter threatens to halt the expansion of Anglo American Coal’s Drayton mine. 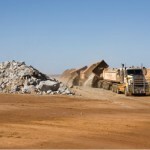 Aussie miner keeps ownership of Kenyan project (0) January 14, 2013 Mineral sands miner Base Resources has been boosted by a Kenyan Government decision not to enforce new resource nationalism rules on its fledgling project. 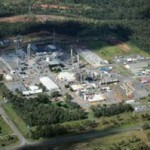 Orica plans emulsion plant in the Bowen Basin (0) January 14, 2013 Explosives manufacturer Orica is reportedly planning to build a new ammonium nitrate emulsion plant in the Bowen Basin, east of Dingo. 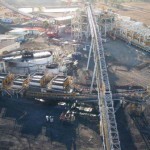 Mastermyne win BHP coal contract (0) January 14, 2013 Mastermyne has been awarded a contract for services at BHP’s Appin Area 9 project. 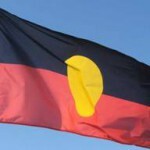 Mining boss drowns in NSW (9) January 14, 2013 The director of a junior mining company has drowned trying to rescue six South Korean students from tidal currents on the NSW central coast. 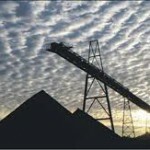 Morgan Stanley clients profit from Whitehaven hoax (0) January 11, 2013 Investment banker Morgan Stanley bought up large quantities of Whitehaven Coal shares during the 22 minutes of panicked selling sparked by a fake ANZ press release on Monday. 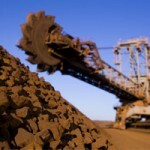 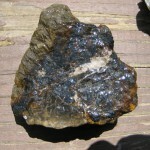 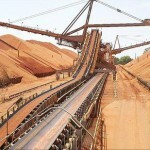 Experts unsure on iron ore rise (0) January 11, 2013 While the mining industry has been buoyed by a large spike in the iron ore price, analysts say the 15-month highs are not expected to last. 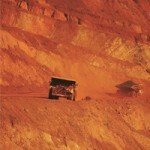 BHP call for executive pay rules to be simplified (0) January 11, 2013 BHP Billiton has called for Australian executive pay disclosure laws to be simplified. 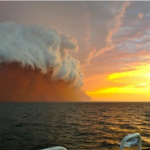 Wild weather threatens WA resources [images] (0) January 11, 2013 An oil and gas support vessel has captured stunning images of a storm brewing off the coast of Western Australia, as resources companies brace for wild weather in the region. 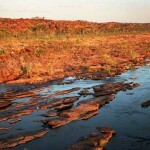 Palmer refutes Greens’ concerns (3) January 11, 2013 Clive Palmer has rejected environmental concerns over the possibility of his Yabulu nickel operation’s tailings dam bursting during the wet season. 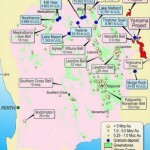 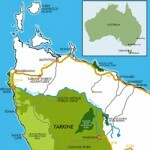 Uranium mining in NSW still on the agenda (0) January 11, 2013 While a ban on uranium exploration in New South Wales has been lifted, the ban of its extraction still exists – for now. 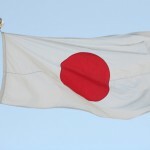 Japan surveys seabed for rare earths (0) January 11, 2013 Japan is launching another survey in the hopes of uncovering more rare earths deposits on the sea floor. 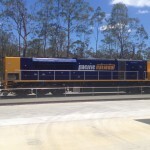 Sembawang makes $38m bid for Macmahon construction business (0) January 10, 2013 Macmahon Holdings today announced Sembawang Australia had made a revised offer of $38 million to buy its construction business. 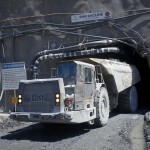 Mining productivity decades behind other industries: Anglo boss (0) January 10, 2013 Anglo American’s new CEO Mark Cutifani says the mining industry is decades behind other parts of the economy on productivity, and the industry, not government, must raise its game. 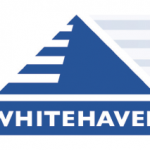 Greens prove extremism by backing Whitehaven hoax: Coalition (0) January 10, 2013 The Coalition says the Greens have shown “disrespect for the law” and proved they are the “epitome of extremism” by supporting a hoax targeting Whitehaven Coal. 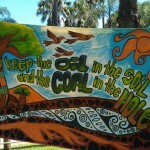 NZ activists say ‘keep coal in the hole’ (0) January 10, 2013 Anti mining activists will come together at the annual ‘Keep Coal in the Hole’ festival which is to be held in New Zealand next weekend. 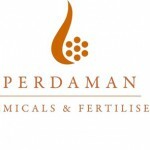 Perdaman chemicals to sue Indian bank (0) January 10, 2013 Perdaman Chemicals has launched a Federal Court damages claim against India’s second largest bank ICICI. 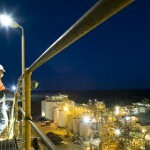 Brisbane miner may be the latest hoax victim (0) January 10, 2013 Prospective deep sea miner Nautilus Minerals has denied reports of a hostile takeover bid for the company, raising speculation it may have fallen victim to a stock market hoax. 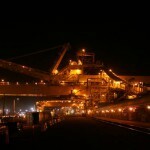 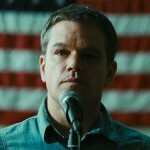 BHP coal miners to strike (0) January 10, 2013 Miners at BHP’s Dendrobium coal mine will take industrial action on Friday. 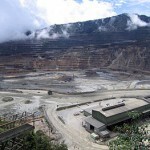 Mine waste water a concern ahead of wet season (0) January 10, 2013 Despite the heat wave wracking the nation, concerns have been raised over the management of mine waste water ahead of the wet season. 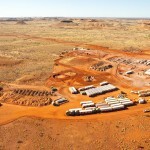 Gold junior moves to owner-operator (0) January 9, 2013 Gold junior Norton Gold Fields has approved a $38 million investment to transition to an owner-operator model for its Paddington operations in WA’s Goldfields. 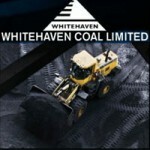 Whitehaven coal investors shy away from Tinkler (0) January 9, 2013 Speculation around the future of Nathan Tinkler’s stake in Whitehaven Coal has caused investors to shy away from the company says managing director Tony Haggarty. 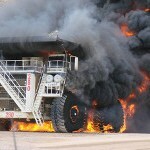 Fire on BHP land burning “out of control” (0) January 9, 2013 Emergency services in the Pilbara are battling an “out of control” fire burning on land leased by BHP Billiton near Newman. 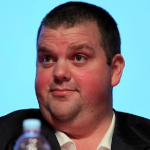 Tinkler accused of redirecting coal royalties (0) January 9, 2013 Mining magnate Nathan Tinkler is once again attracting headlines after being accused of requesting Queensland coal royalties be diverted from a company associated with a former business partner. 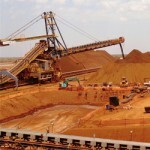 FMG refutes ship loading delays (0) January 9, 2013 Fortescue Metals Group has denied reports that equipment difficulties have lead to delays in loading some iron ore ships. 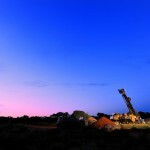 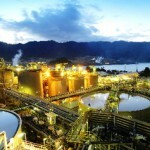 St Barbara to sell Southern Cross (0) January 9, 2013 St Barbara has agreed to sell its Southern Cross operations to Chinese miner Hanking Gold Mining. 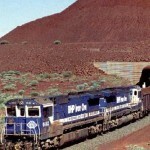 Fortescue announces new head of Pilbara iron ore ops (0) January 9, 2013 Fortescue Metals Group has announced the appointment of David Woodall as the new operations director for its Pilbara iron ore projects. 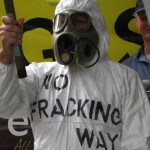 Greens congratulate Whitehaven prankster (0) January 9, 2013 Greens leader Christine Milne and NSW Senator Lee Rhiannon have offered support to the activist who released a fake statement that triggered a temporary collapse in Whitehaven Coal stocks. 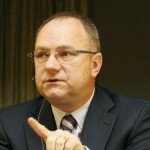 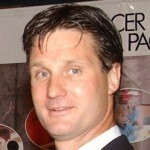 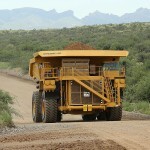 Anglo American announces Mark Cutifani as new CEO (0) January 9, 2013 Mark Cutifani has officially stepped into the top position at Anglo American. 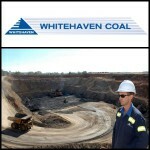 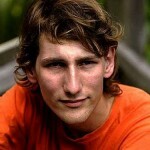 Whitehaven prankster could face fines, jail time (0) January 8, 2013 The Australian Securities and Investment Commission is set to investigate whether an activist broke the law yesterday after a fake media statement shaved around $300 million from Whitehaven Coal stocks. 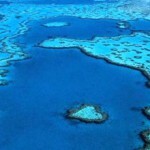 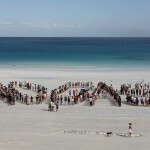 New coal ports not needed: WWF (0) January 8, 2013 World Wildlife Foundation (WWF) Australia insists no new coal ports are required along the Great Barrier Reef coastline. 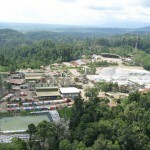 Lynas ramps up rare earth processing in Malaysia (95) January 8, 2013 Australia’s Lynas Corporation yesterday commissioned its controversial rare earth plant in Malaysia. 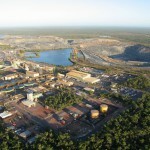 Ausenco wins Newcrest’s Lihir contract (0) January 8, 2013 Ausenco has been awarded a three year contract to manage a portfolio of projects at Newcrest’s Lihir mine. 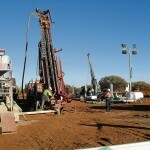 GR Engineering win Doray contract (0) January 8, 2013 GR Engineering has won a $30.3 million EPC contract for Doray Minerals’ Andy Well gold project. 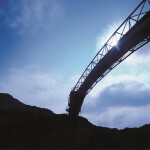 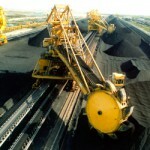 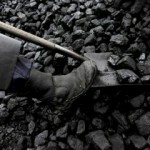 Coal to overtake oil by 2017: IEA (0) January 8, 2013 More than 8,000 jobs have been stripped from Australia’s coal sector in the past 6 months and heading into 2013 the industry continues to feel the pressure. 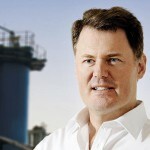 Lonmin chief to step down (0) January 8, 2013 The CEO of global platinum miner Lonmin, Ian Farmer, is stepping down permanently due to ‘serious illness’.